Catch-22 meets The Brothers Karamazov in the last great satire of the Soviet Era The Great Patriotic War is stumbling to a close, but a new darkness has fallen over Soviet Russia. And for a disparate, disconnected clutch of wanderers - many thousands of miles apart but linked by a common goal - four parallel journeys are just beginning. Gorych and his driver, rolling through water, sand and snow on an empty petrol tank; the occupant of a black airship, looking down benevolently as he floats above his Fatherland; young Andrey, who leaves his religious community in search of a new life; and Kharitonov, who trudges from the Sea of Japan to Leningrad, carrying a fuse that, when lit, could blow all and sundry to smithereens. 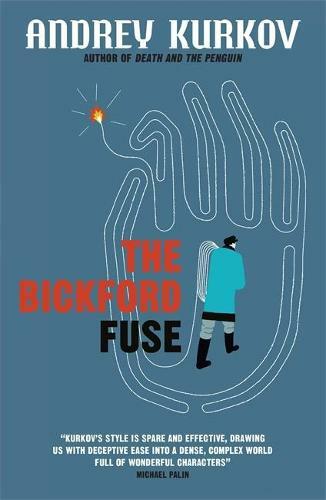 Written in the final years of Communism, The Bickford Fuse is a satirical epic of the Soviet soul, exploring the origins and dead-ends of the Russian mentality from the end of World War Two to the Union's collapse. Blending allegory and fable with real events, and as deliriously absurd as anything Kurkov has written, it is both an elegy for lost years and a song of hope for a future not yet set in stone. Kurkov's style is spare and effective, drawing us with deceptive ease into a dense, complex world full of wonderful characters. -- Michael Palin.